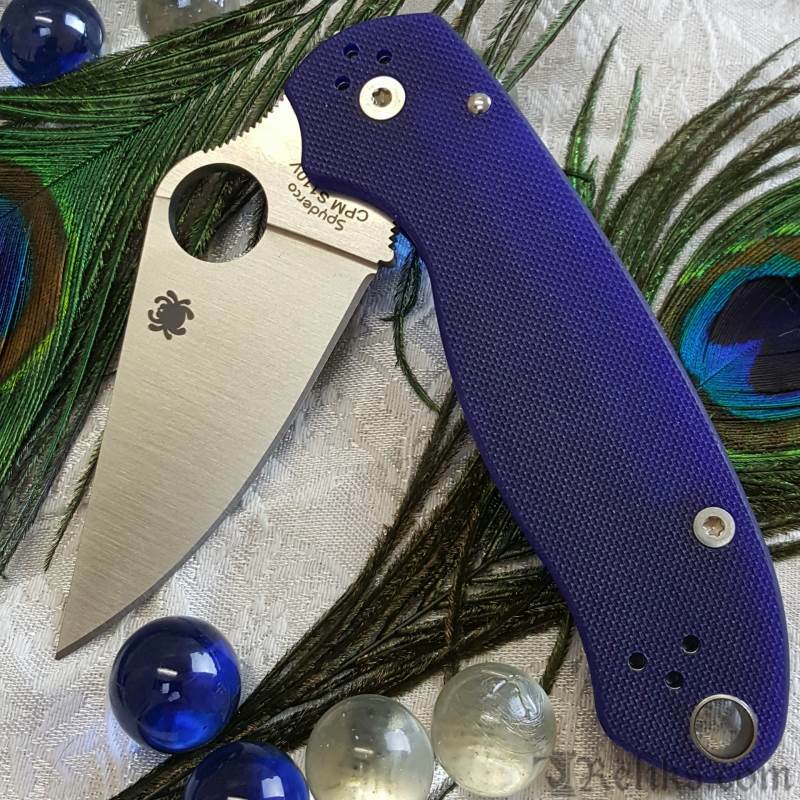 Spyderco Para 3 Midnight Blue - This elite version of the Para 3 supercharges the performance of this compact design with state-of-the-art CPM® S110V® blade steel. 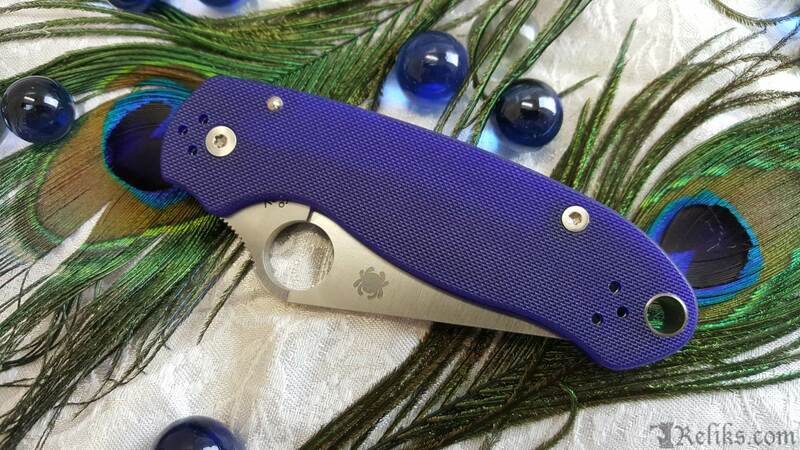 Para 3 Knife Midnight Blue - In its basic form, the Para 3 distills all the best-in-class features and benefits of the iconic Para Military™ 2 into a smaller, more pocket-friendly format. 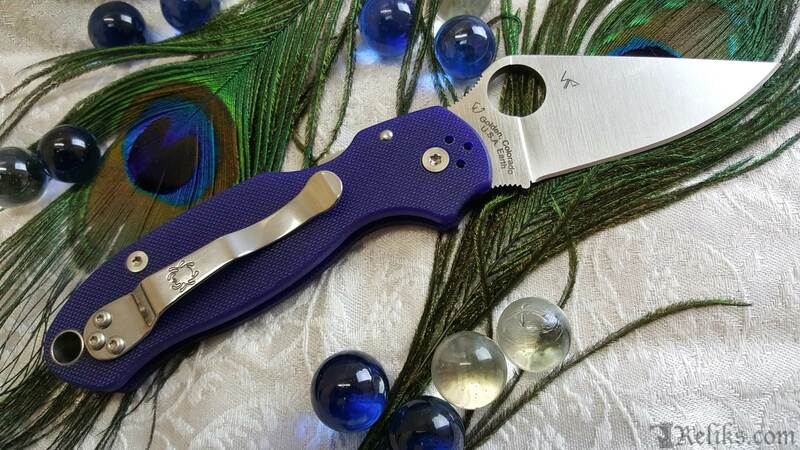 Para 3 S110V Steel - CPM S110V’s high carbon content, advanced alloy mix, and high volume of vanadium and niobium carbides significantly increase the steel’s edge-holding properties as compared to other particle metallurgy steels. 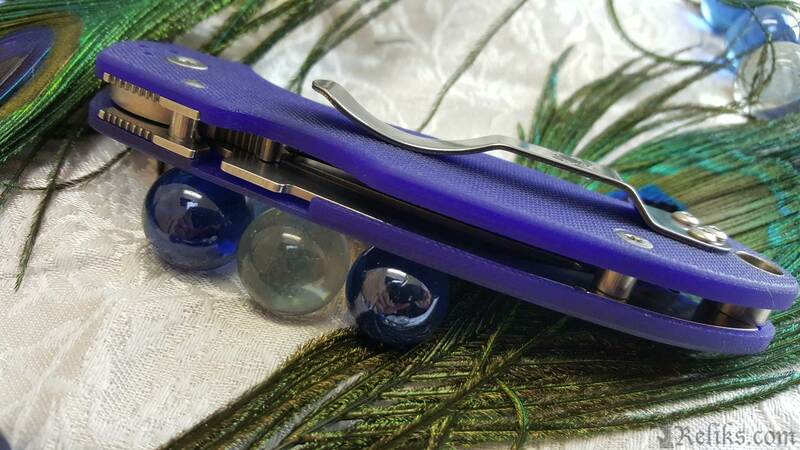 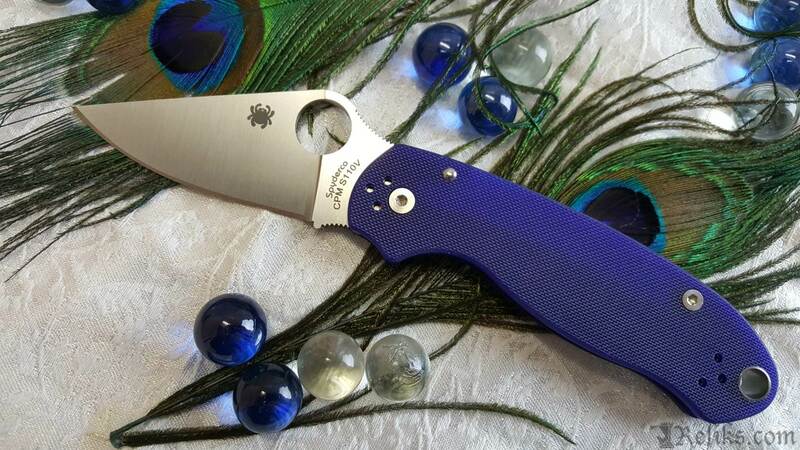 Spyderco Midnight Blue Scales - To make it even more special, this remarkable expression of the Para 3 proudly wears textured G-10 handle scales in the deep midnight blue color that is a signature of Spyderco’s CPM S110V breed. 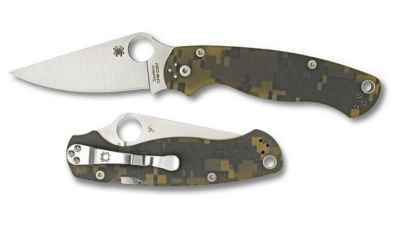 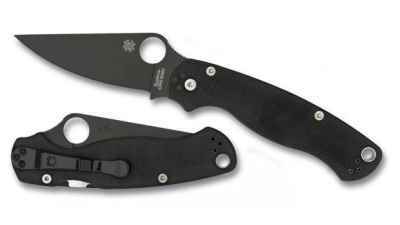 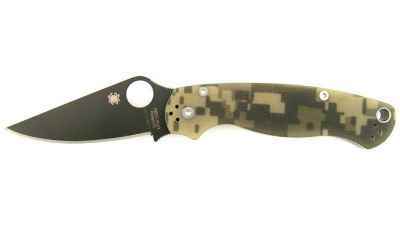 Para 3 Spyderhole - An iconic symbol of Spyderco, the Trademark Round Hole™ also serves as a user-friendly alternative to a traditional nail nick in our two-hand-opening folders. 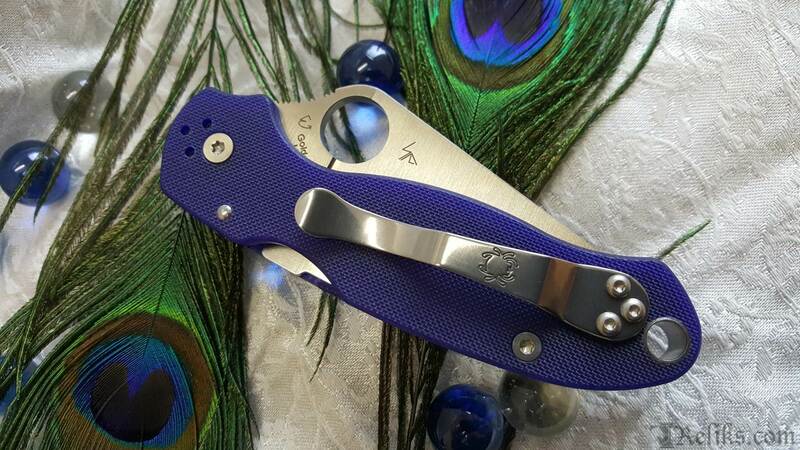 Para 3 Compression Lock - The Para 3 has many other distinguishing features including exceptional ergonomics and Spyderco's high-strength Compression Lock™ mechanism.